Have you heard of tooth powder? It’s gaining traction with many oral care brands marketing their own tooth powders in addition to “traditional” toothpaste. I actually first experienced toothpowder when I was a kid. I had no idea what it was at the time but my mom had some powder “for cleaning teeth” that my grandmother gave her (if memory serves me correctly). I used it once or twice and then completely forgot that tooth powder even existed. Until now… when I decided to make my own remineralizing and whitening tooth powder! Simply put, tooth powder is the powdered form of toothpaste… or rather it is what toothpaste is before you add liquids to it. Since it’s just like toothpaste there’s no oral benefits over one or the other. There are other reasons to choose tooth powder over toothpaste however. Tooth powder is less likely to get contaminated and go bad. Why? The lack of liquids. For years, we’ve been told that any damage done to our teeth (think cavities and otherwise) is irreversible. Your only answer was dental work. Now, I’m not saying you should always skip dental work sometimes it’s just the way to go but…. we’ve been misinformed. You can heal tooth decay! Now, I have yet to heal a cavity but I’ve had plenty of blogger friends who have! Remineralizing can halt cavities and help teeth heal. It’s pretty crazy stuff but then again, our bodies are pretty amazing! Now there is a lot that goes into remineralizing your teeth. This remineralizing and whitening tooth powder will help a lot but it’s generally not the only thing you’ll need to do in order to heal those teeth. What’s in my Remineralizing and Whitening Tooth Powder? Calcium Carbonate – Calcium is pretty crucial when it comes to remineralizing teeth and calcium carbonate is packed full of it! 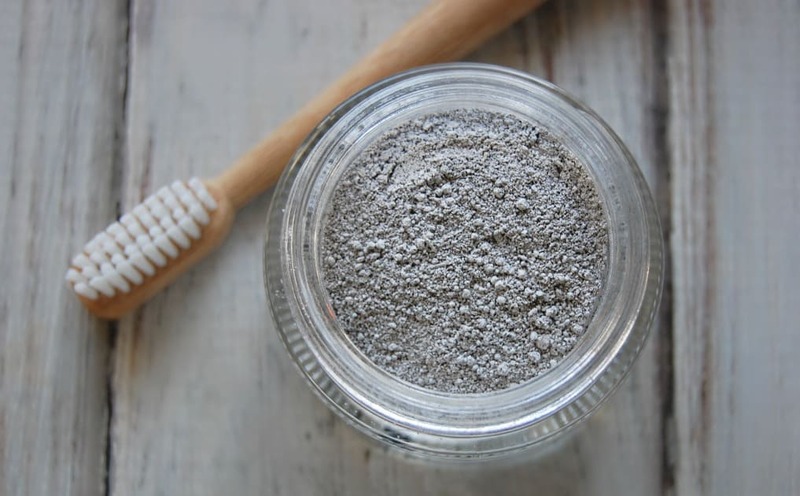 Bentonite Clay – Yes, it might seem odd to clean your teeth well… mud! 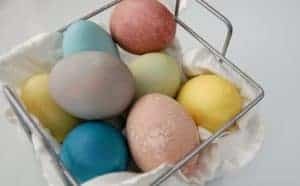 However, bentonite clay actually is a cleanser (one of the reasons why we love in in face masks), and it’s rich in minerals which is needed for remineralizing teeth. It also helps remove toxins and stains from teeth. Xylitol – You’ve likely heard of xylitol as it’s in many toothpastes and chewing gums. Why? Because it is believed to help prevent cavities and can help remineralize teeth. 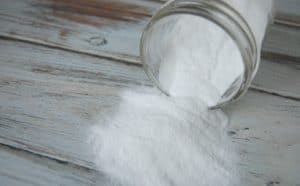 Xylitol is actually a sweetener which means on top of the anti-cavities benefits, it also makes your tooth powder taste good! When buying xylitol, you’ll want to choose xylitol made from birch (as opposed to GMN corn). Most xylitol is pretty granular so I recommend tossing it in the blender for a bit to get a finer xylitol. Peppermint Leaf Powder – Mainly used for it’s minty taste but peppermint is also beneficial because it an help kill anaerobic bacteria that like to live in your mouth. Diatomaceous Earth – This intriguing ingredient is made from fossils! Diatomaceous earth (DE for short) contains trace minerals and silica. Silica is often added to toothpastes because it helps enamel and fights off tooth decay. Silica also is a mild abrasive so it will polish your teeth leaving them feel like you just had a cleaning at the dentist. 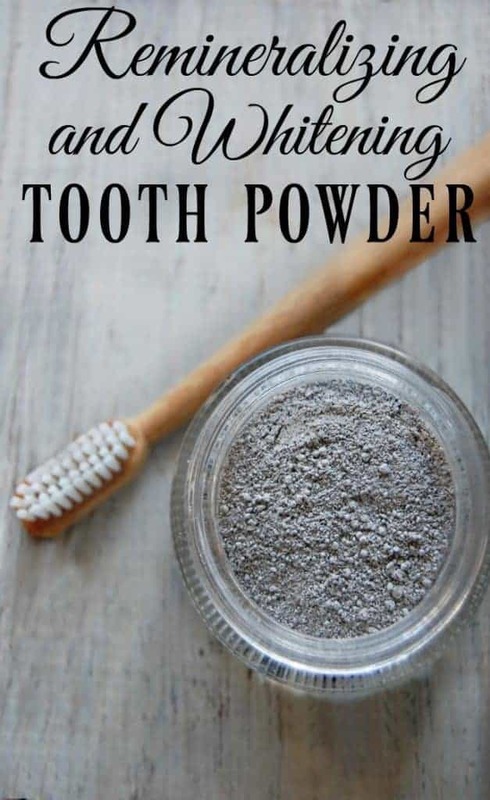 Activated Charcoal – I love activated charcoal just on it’s own for a teeth whitening product so naturally I wanted to include it in my tooth powder! Activated charcoal is a bit different than that stuff in your BBQ. Activated charcoal likes to bind toxins and other materials like tannins to itself (adsorption) and then whisk them away. Of course, when remineralizing teeth, you want to make sure that the ingredients you are using won’t whisk away the minerals you need but thankfully activated charcoal doesn’t adsorb much needed calcium, magnesium, iron, potassium, sodium, zinc, and a few others. Mix all ingredients in bowl using non-metal utensil. Transfer to clean container with lid. Lightly wet toothbrush and dip into toothpowder. Tap off excess. Brush as normal. Hi, about how long will this recipe last if using once a day? Quite a long time. My guess would be at least 6 months. 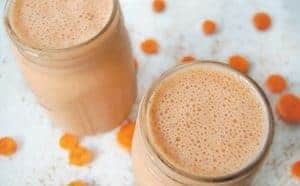 I am also a big fan of Now vitamins but I am looking for a larger container of calcium carbonate so I can make extra for friends in order to cover my costs. Is there another one you recommend? Thanks! Do your kids like it? Well they don’t like it as much as the coconut oil based toothpastes. And they obviously need to spit this one out. They have used it though (usually when I’ve run out of their toothpaste) That said, if you are looking for remineralizing kids toothpaste, you could also just add the calcium and DE to the coconut oil based toothpastes (I usually leave out the bentonite as it changes the consistency) – that’s what I do for my kids.